ESO Supernova Exhibition — What shapes do galaxies have? 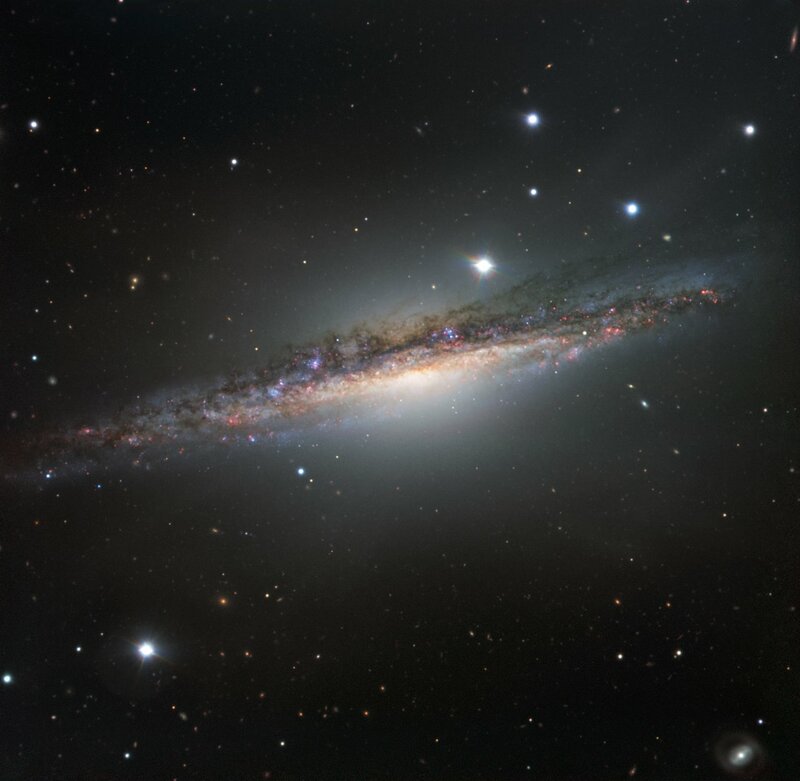 What shapes do galaxies have? Galaxies can be categorised in terms of their apparent shape. The two main types are spiral and elliptical. Those which do not fit easily into either of these categories are referred to as “irregular” and “peculiar” galaxies. Cosmic collision: Galaxies often interact with each other, creating new shapes and sometimes even completely new galaxies. 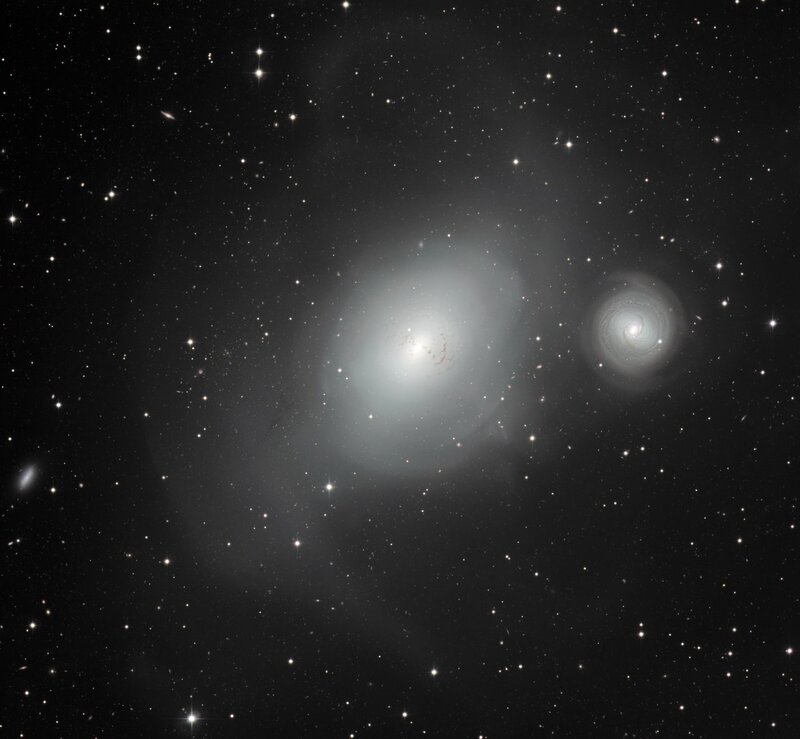 Gentle giant: The giant elliptical galaxy NGC 1316 sits in the heart of the Fornax cluster of galaxies. It is accompanied by a much smaller spiral galaxy. In the early 20th century, Edwin Hubble classified galaxies on the basis of their shape. Hubble recognised four classes: (1) spirals and barred spirals (loosely or tightly wound); (2) ellipticals (more or less flattened or elongated); (3) lenticulars (composed of an elliptical core together with a disc containing no spiral arms); and (4) irregulars. 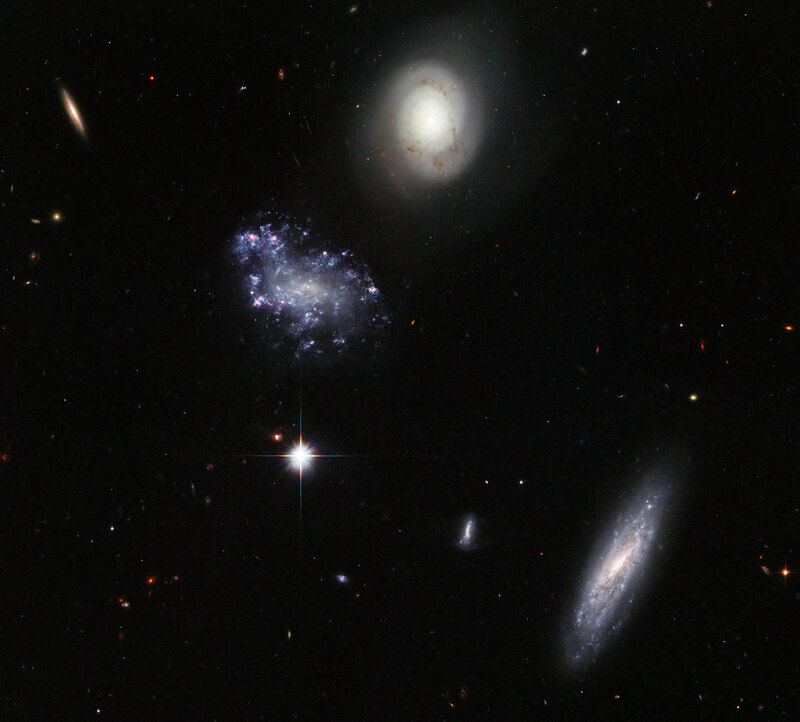 We now know that galaxies do not slowly evolve from one type into another, as Hubble thought. Instead, collisions and mergers of spirals can form giant elliptical galaxies, while gravitational interactions can produce irregularshapes. The central bars in some spiral galaxies may come and go over billions of years. 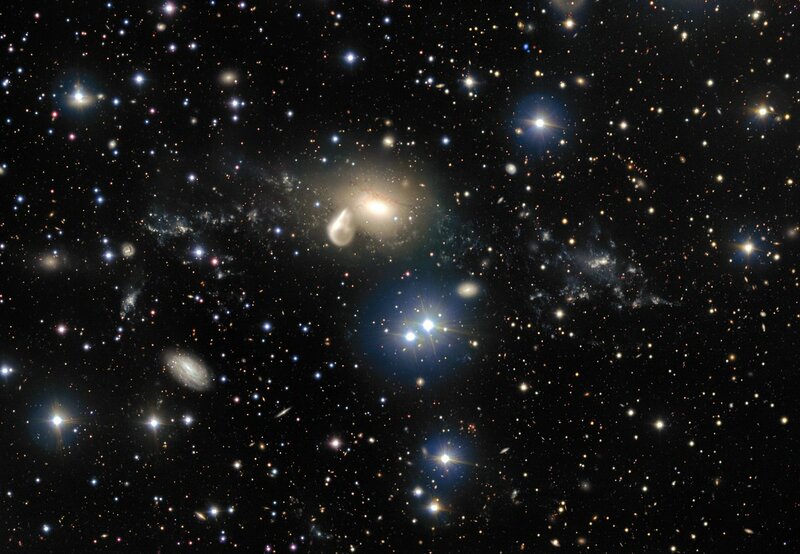 Group dynamics: Two spirals and one irregular-shaped galaxy containing clumps of blue stars make up Hickson Compact Group 59. Other galaxies can be seen in the background. Most peculiar: ESO 162-17, irregularly shaped and loaded with gas and dust, is classified as a peculiar galaxy – probably the result of interactions with neighbouring galaxies. Our Milky Way galaxy is a nice spiral. Many other galaxies are spirals, too. But the Universe also contains elliptical and irregular galaxies. Can you spot them around here?